After a quick loop around the farm buildings at the Humpback Rocks Visitor Center, my proper “run” began at Humpback Gap with a one-mile march to Humpback Rocks (around 15 minutes to the base of the rocks). 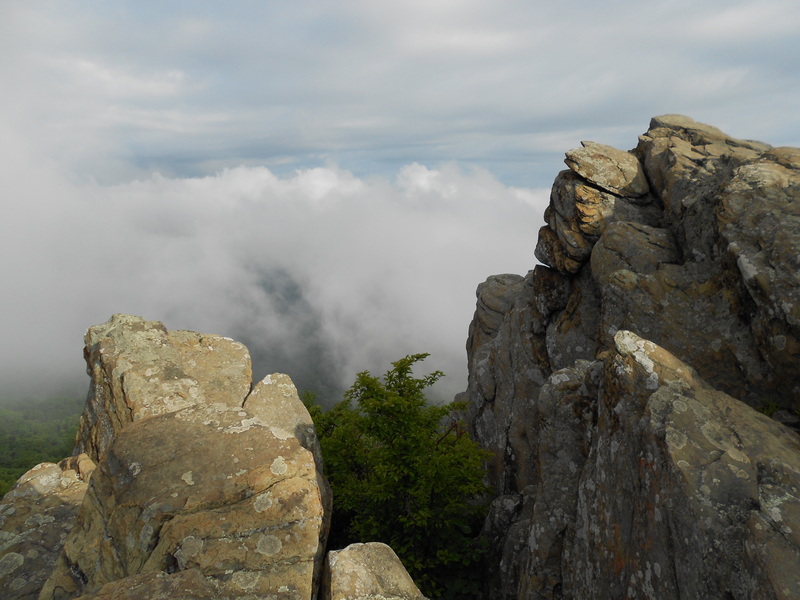 From the rocks, I hit the Appalachian Trail south and stayed there until Reeds Gap, aside from two short detours (going out and coming back) to re-fill water bottles at the Humpback Rocks Picnic Area. 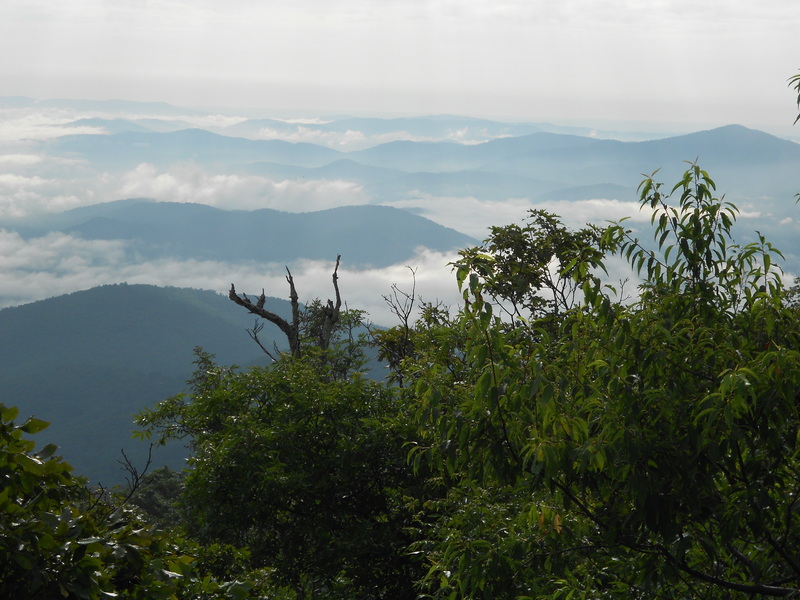 This route had me crossing the Blue Ridge Parkway three times: Dripping Rock, Three Ridges Mountain, and Reeds Gap. 22.25 miles total. Looking north from Humpback Rocks around 8:30 a.m. Looking west from Humpback Rocks around 8:30 a.m.